The spinal cord is a sensitive part of the body which is protected by vertebrae (bones). Shock-absorbing disks are present between these bones. Vertebral body is the major part of the bone, whereas nucleus pulposus is the central part of shock absorbing disks. 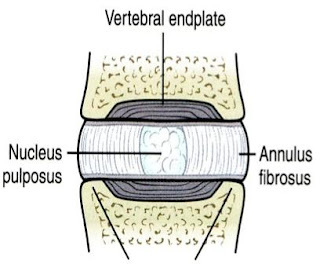 When the soft disk fractures through lower or upper section of vertebral body, the nucleus pulposus comes into disk and the trauma is identified as Schmorl’s node or intravertebral disc herniations. Generally, Schmorl's nodes are regarded as incidental asymptomatic finding. Most of the patients (teenagers) experience back pain around thoracolumbar junction which prevents them to take part in particular sports or perform specific motion. In 1927, pathologist Christian, named Schmorl described the disease caused by displaced intervertebral disk tissues by cartilaginuous endplate. He observed the cartilaginous nodes in thoracic spine (lower) and lumber. The disease is common in aging spine and can be detected through X-ray. The lower and middle sections of spine are the areas where Schmorl’s nodes are noticed on frequent basis. It is observed that Schmorl’s node causes the deterioration of soft disks, placed between the bones covering the spine. 1- In case, a person faces pain in the spine on the frequent basis, the trauma leads to wear and tear of this sensitive area. It may happen that some people are born with Schmorl's nodes or have weak bones which make it possible for shock absorbing discs to cross the bones. 2- The deficiency of Vitamin D is another factor that makes the bones weak and prone to wear and tear. 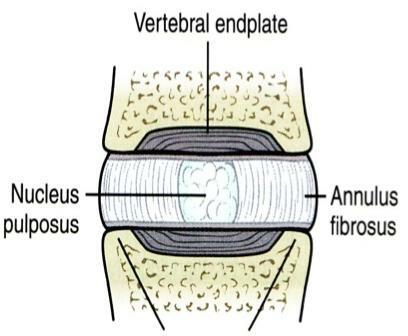 3- The vertebral bodies are soft and become ossified after teenage. If teenagers perform heavy weight lifting, the vertebra mislays the normal function and the person may face spinal deformity or Schmorl’s Nodes. Most of Schmorl’s nodes do not cause pain and are discovered when back area is examined due to some other reason. Though some patients feel back pain which is not treated by common therapies and are advised to have an MRI. • When treatment is necessary, vertebroplasty (surgical procedure) is considered as an effective treatment. • In case of active Schmorl's nodes, cement type injections are also used. • Instability of bones in association with active nodes can be treated by fusion surgery. The satisfactory success rate is reported along with improved functional ability and pain relief. • Antibiotics are effective approach to recover modic changes and disc herniation.